This outdoor dining set is truly unique and a conversation starter all on its own. Our grand and fabulous Alex table takes center stage and is perfectly balanced with our striking Edge chairs in black. 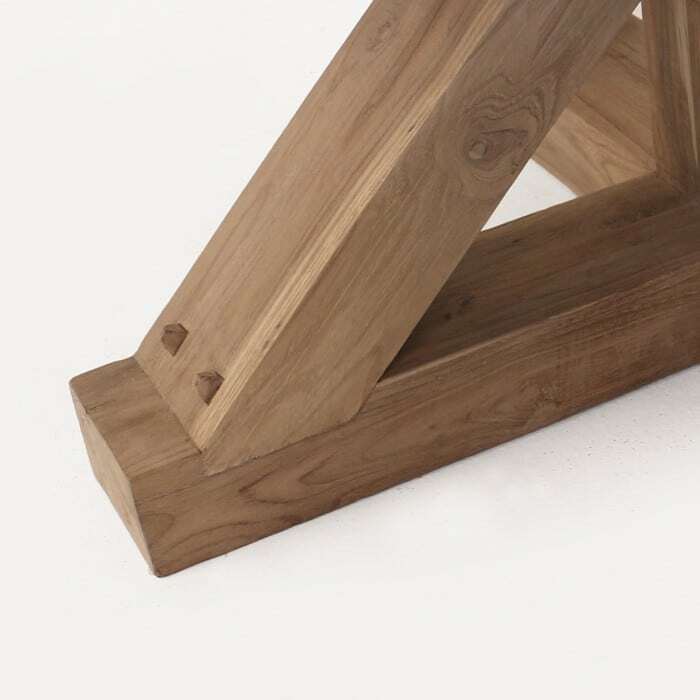 The Alex dining table features a remarkable base with thick and dramatic reclaimed teak legs in an interesting cross pattern. 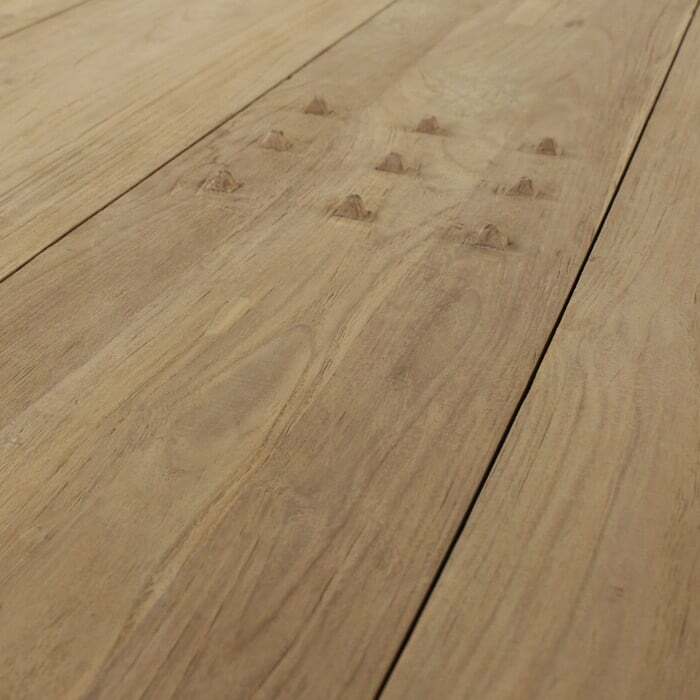 The tabletop is a large square with special studs in the center that add the perfect finishing touch to this outstanding design. 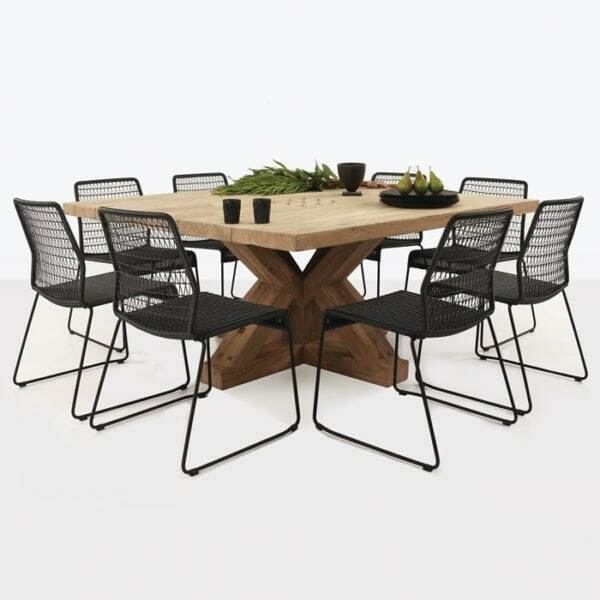 Eight chairs easily fit around this table making it a great choice for hosting a dinner party. 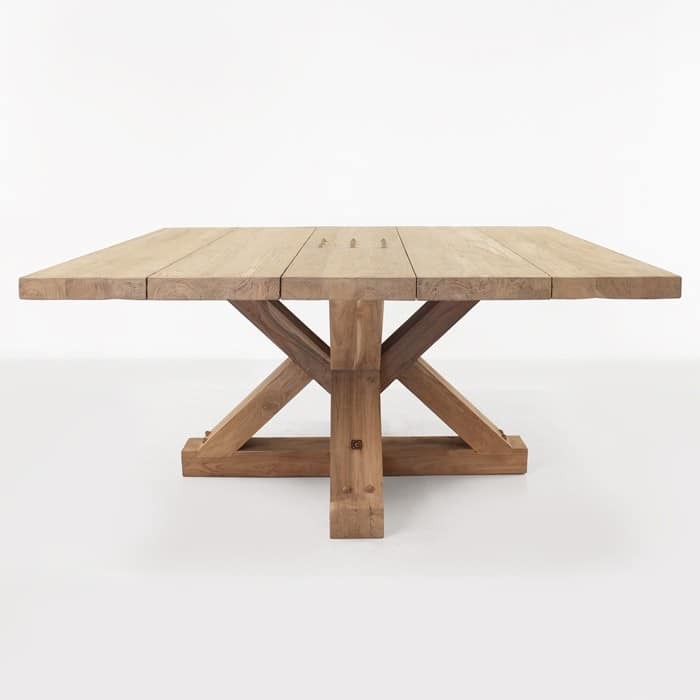 The table is made with reclaimed teak making it durable and substantial. Our Edge side chairs are made with outdoor wicker and powder coated stainless steel. 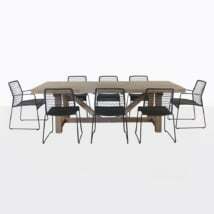 The have a contemporary shape and design. 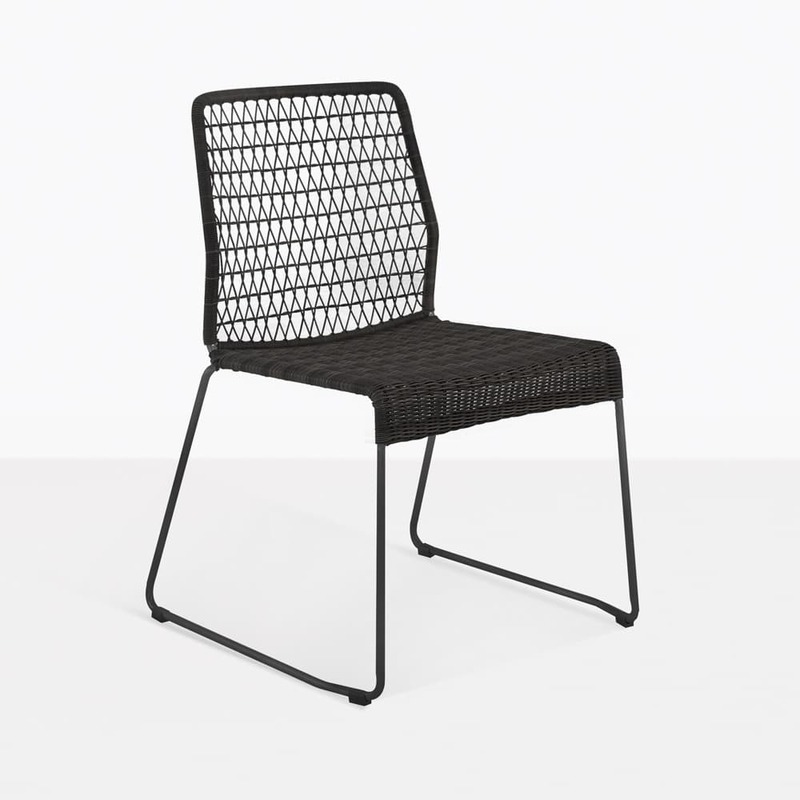 We love pairing different materials together to make unique dinging sets that add that extra bit of style and texture to your outdoor space. 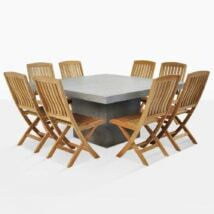 If you like what you see, but want to learn more about this outdoor dining set, then don’t hesitate to call or email us. 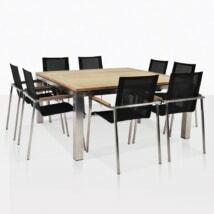 Everything comes fully assembled and is ready for nationwide shipping.